ILSSA Boston is proud to support the following charity organizations with an annual contribution. Please consider supporting them and the excellent work that they do in the Boston area. In addition to the crushing emotional toll taken, there is a financial domino effect in having a child diagnosed with cancer. Most often, one parent must leave a job. Some treatments are not fully covered by insurance. It’s expensive to come to the city every day to be with your child – gas costs, parking fees and meals can sometimes add as much as $100 a week to a budget already cut in half. Families, once solvent, now find themselves on the financial brink. WE CAN ALL HELP. Donations have, for example, saved a family from eviction, helped pay down overwhelming bills and paid to repair the only vehicle used to travel back and forth to the hospital. The situations are heartbreaking and all too real. 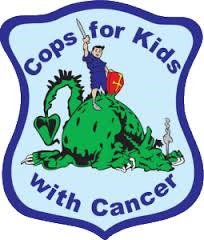 In the last 4 years, including the hospital donations, Cops For Kids With Cancer have given to over 280 families in need, totaling more than$1,400,000.00 in and around New England. The Semper Fi Fund provides immediate financial assistance and lifetime support to post 9/11 wounded, critically ill and injured members of all branches of the U.S. Armed Forces, and their families, ensuring that they have the resources they need during their recovery and transition back to their communities. 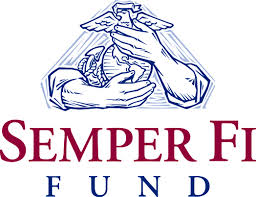 Since establishing the Semper Fi Fund in 2004, they have issued more than 79,500 grants, totaling more than $98 million in assistance to over 12,600 of our heroes and their families. Payitbackpack.org's backpacks are custom designed and stocked with as many as 30 carefully chosen items to provide homeless people in need with some of the small necessities and comforts which we take for granted every day. While it may not seem like much to many, it could very well be everything to some. Their backpacks are not intended as a long-term solution although they just may make all the difference to those facing the harsh realities of being homeless. Their hope is that Payitbackpack.org can provide those coping with these challenges a renewed sense of hope and dignity, motivating them to seek the long-term help they may need to overcome their unfortunate circumstances. All donations are tax deductible and all proceeds go directly to buying the backpacks and contents. Currently each backpack costs about $35 to produce.